Question about a crash issue... Every time I try to select an AI Package the CS promptly freezes and crashes with a BEX error. I upgraded my OBSE, nothing changed. I altered my permissions through the Advanced Performance settings to allow CS to run more unfettered but still, no change. I can do everything else in the editor from what I can tell (haven't mucked terribly deeply with it yet). Is there another workaround or a patch for this issue or am I hooped? I'm running Windows 7 Pro 64bit and I have the latest version of CS and OBSE. Seriously, I'm not re-jigging and modding the guts out of my computer's core settings just for this program, as much as I want to have fun building with it. I spent dozens of hours learning to build a dungeon to help me pass the time during a recent illness but if I can't make my NPSs act certain ways then my efforts are just junk files to be deleted and there's no point trying to learn to build anything else. Anybody have an idea what the crashing issue is? Thanks in advance. I found this reply somewhere else. "As far as the CTL error, it sounds like you're using a custom set of BSAs. The CS has its own ini file which needs to have the same list of BSAs your main game is using or it will choke." An error (-5009 : 0x80041f42) has occurred while running the setup. Please make sure you have finished any previous setup and closed other applications. I don't know if it is or isn't but I think the tes4cs program is looking for the "Readme" file. Any idea on how I might fix this? 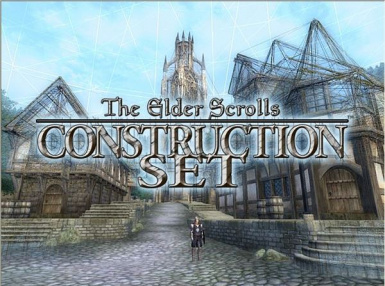 I don't know if this will help anyone who is having the (-5009 : 0x800xxxxx) error, but has anyone downloaded the readme file off nexus and added it to their Oblivion folder before running the TES4CS install program? Thanks for this. Everything works great. I'm surprised that it's not easily available from Bethesda anymore though. Anyway, I've endorsed it. Well, gotta get back to modding now, thanks again! For anyone wondering, it's back up now. I cant seem to actually find the set, i downloaded it, but where do I actually launch it? Obse commands like EquipItemNS aren't recognized anyone who can help? You can also use the Construction Set Extender (CSE) linked in the description, however you will still need to launch the editor with that command (the notimeout might not be necessary, the editor part is). With the CSE, there will also be a batchfile you can use to run that command and launch the CS(E). Hopefully that helps a little.